Product Details-Comes with plush cover,Post wrapped in natural sisal, Padded platforms, Height-103 cm, Available in brown, aquamarine colour. 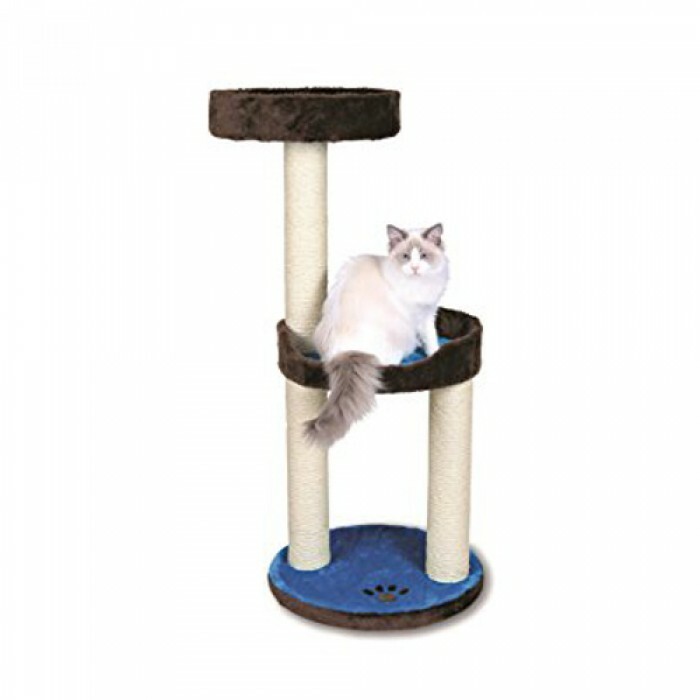 Product Information-Trixie scratching posts and furniture fulfil many functions and meet all cat needs. Lugo scratching post comes with plush cover. Post wrapped in natural sisal and padded platforms. Trixie is a German brand specializing in accessories for pets in general, make more comfortable people peacefully coexist with animals in the home. Available in brown aquamarine colour.